There are 12 clinically researched nutrients and vitamins in one single scoop. Ambrosia Nektar® contains scientifically validated ingredients in their studied dosages to address the parts of your body that truly matter. Your key internal organs: the liver, lungs, heart, and kidney; are often overlooked in favor of pursuing lower body fat, or more muscle. Now you no longer have to make that sacrifice with the introduction of Nektar®. 12 clinically researched nutrients and vitamins in one single scoop. Why take a handful of vitamins when you can simply take one scoop of Nektar and be on your way? Imagine getting everything you need and then some in one delicious drink. 12 powerful superfoods like Hawthorn Berries, Red Clover, Pumpkin Seeds, and Resveratrol! Finally, something that will taste good and make you feel great. That's the beauty of Nektar - its made to be taken every day and we promise you that once you have it, you will not be able to put it down. 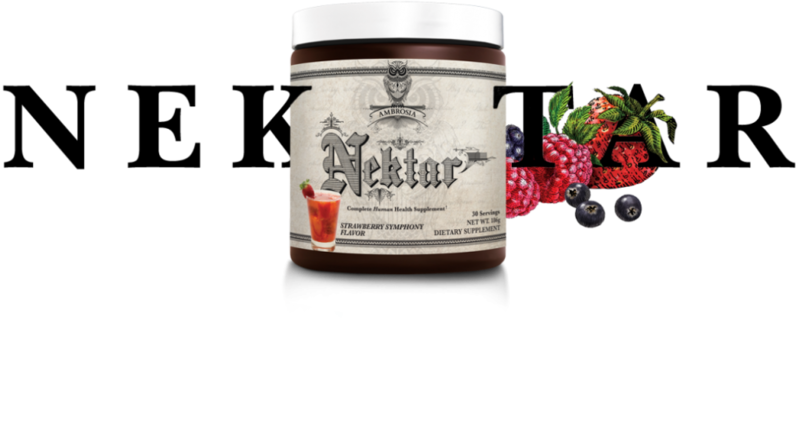 Nektar comes in two great flavors, Fruit Symphony and Strawberry Symphony. And guess what?! There's no sugar in it! Co-Enzyme Q10 (CoQ10) is among the most popular supplements for mitochondrial health. From 2000 to 2016, the number of Americans using CoQ10 increased almost 12 times over, to approximately 24 million. Resveratrol is a potent antioxidant found in certain fruits, vegetables and cocoa that has come to prominence in the last decade as a modern "Fountain of Youth". Resveratrol promotes free-radical reduction with the help of antioxidants. Milk thistle is an herb that is used for its ability to support liver, kidney, and gallbladder health. Milk Thistle contains the flavonoid silymarin, which is known to be the main contributor to many of its positive and beneficial effects. N-acetyl cysteine (NAC) is a derivative of the non-essential amino acid cysteine. In fighting free radicals, NAC is one of the most powerful natural ingredients available. As a powerful antioxidant amino acid, NAC helps replenish glutathione, a critical component of the body's defense system. Red Yeast Rice is a bright reddish purple fermented rice, which acquires its color from being cultivated with the mold Monascus purpureus. It has been used in food and medicinal preparations for hundreds of years. Chromium is an essential mineral, consumed through the diet. It is found in trace amounts in plant products, specifically grains. Chromium Picolinate is one of the most widely used supplements on the market, primarily utilized for its blood sugar regulation benefits. Stinging Nettle is a plant typically found in damp woods and grassy areas. This plant root nettle contains multiple health-promoting qualities. Stinging Nettle Root plays a key role in promoting a healthy urinary tract function. The use of Celery seed dates back thousands of years in Eastern medicine. The primary use of this beneficial compound unique to celery is its powerful support for the circulatory system. Pumpkin seed contains a naturally occurring blend of Omega-3 and Omega-6 fatty acids, and is well known for its ability to support healthy bladder and prostate function. Policosanol is produced from all natural sugar cane. Our ideal Policosanol source features the ideal ratios of octacosanol, triacontanol and hexacosanol for promoting heart-healthy lipid levels in the bloodstream. Red Clover has been used traditionally as an internal health herb, with its primary benefits being its potent liver cleansing capabilities. Hawthorn Berry is an all-natural heart health ingredient. Hawthorn Berries, which resemble tiny sweet cherries, have been used to make wine, jelly and flavored brandy for many years. These statements have not been evaluated by the Food and Drug Administration. This program is not intended to diagnose, treat, cure or prevent any disease. This product is proudly manufactured and designed from start to finish in the USA in an FDA Approved cGMP Laboratory. ©2019 All Rights Reserved. Copyright, Ambrosia LLC. Nektar® is a Registered Trademark of Ambrosia, LLC. Co-Enzyme Q10 (CoQ10) is among the most popular supplements for mitochondrial health. From 2000 to 2016, the number of Americans using CoQ10 increased almost 12 times over, to approximately 24 million. As the population becomes more aware of mitochondrial and heart health, the usage of this supplement is expected to continue to grow. CoQ10 maintain a critical function in the electron transport chain (a.k.a Krebs cycle) of your mitochondria. Here it is essential for the creation of ATP, the biological energy currency needed by our cells for life, repair and regeneration. This is to be expected, since many conditions CoQ10 is known to be beneficial for, including heart disease and migraines, appear to be rooted in mitochondrial dysfunction. CoQ10 is a fat-soluble antioxidant, meaning it works in the fat portions of your body, such as your cell membranes. It works to remove potentially harmful byproducts of our natural metabolism known as reactive oxygen species (ROS). It is essentially a natural pollution removing compound. Using CoQ10 to help protect your mitochondria from oxidative damage, has shown to be helpful for a number of health conditions and chronic diseases. In patients with cancer, CoQ10 levels are typically very low. Co-Enzyme Q10 (CoQ10) is among the most popular supplements for cellular support. From 2000 to 2016, the number of Americans using CoQ10 increased almost 12 times over, to approximately 24 million. As the population becomes more aware of mitochondrial and heart health, the usage of this supplement is expected to continue to grow. CoQ10 maintain a critical function in the electron transport chain (a.k.a Krebs cycle) of your mitochondria. Here it is essential for the creation of ATP, the biological energy currency needed by our cells for life, repair and regeneration. This is to be expected, since many conditions CoQ10 is known to be beneficial for, including heart disease and migraines, appear to be rooted in mitochondrial dysfunction. CoQ10 is a fat-soluble antioxidant, meaning it works in the fat portions of your body, such as your cell membranes. It works to remove potentially harmful byproducts of our natural metabolism known as reactive oxygen species (ROS). It is essentially a natural pollution removing compound. Using CoQ10 to help protect your mitochondria from oxidative damage, has shown to be helpful for a number of health conditions and chronic diseases. In patients with cancer, CoQ10 levels are typically very low. Resveratrol is a potent antioxidant found in certain fruits, vegetables and cocoa that has come to prominence in the last decade as a modern "Fountain of Youth". Resveratrol promotes free-radical reduction with the help of antioxidants. It also supports the immune and cardiovascular systems, as well as healthy lipid levels. There has been a substantial amount of science and research behind this mysterious ingredient, most commonly known to be found in Red Wine. While Red Wine can be delicious, we actually think Nektar is even better - and all without the hang over. Resveratrol is typically associated with grapes and red wine, and is attributed with a large part of the so-called “French Paradox” -- the tendency for French people to have great cardiovascular health despite having a poor diet. The problem with drinking Wine for obtaining Resveratrol is that... well.. it doesn't work. The amount of resveratrol can vary greatly in wine. Based on available research, 1 ounce of wine will typically provide from 14 micrograms per ounce to as much as 284 micrograms per ounce. This means you'd need roughly 22 glasses of wine to match the resveratrol serving in 1 scoop of Nektar. Milk thistle is an herb that is used for its ability to support liver, kidney, and gallbladder health. Milk Thistle contains the flavonoid silymarin, which is known to be the main contributor to many of its effects, including: liver protection as well as its anti-inflammatory, antioxidant, and anti-viral properties. Milk Thistle was originally native to the Mediterranean but is now found throughout the world. This powerful plant was actually known as a weed in some areas, despite its therapeutic potential. When the leaves are crushed they release a milky sap, giving this herb its characteristic name. Silymarin, the active component within the plant, is actually a group of compounds (silibinin, silidianin, and silicristin), which work together to provide multiple health benefits. Silymarin act as as an anti-fibrotic, which means it prevents tissue scarring, and it’s also thought to act as a “toxin blocking compound” by inhibiting the binding of toxins to liver cell membrane receptors. Silymarin is used to treat alcoholic liver disease, acute and chronic viral hepatitis, and toxin-induced liver disease. This powerful compound has even been shown in animal studies to reduce liver injury caused by a number of drugs and environmental toxins, including: heavy metals, pain medications, iron, and radiation. N-acetyl cysteine comes from the amino acid L-cysteine. Amino acids are the building blocks of proteins. N-acetyl cysteine has many uses as medicine. N-acetyl cysteine is used to counteract acetaminophen (Tylenol) and carbon monoxide poisoning. It is also used for chest pain (unstable angina), bile duct blockage in infants, amyotrophic lateral sclerosis (ALS, Lou Gehrig’s disease), Alzheimer’s disease, allergic reactions to the anti-seizure drug phenytoin (Dilantin), and an eye infection called keratoconjunctivitis. It is also used for reducing levels of a type of cholesterol called lipoprotein (a), homocysteine levels (a possible risk factor for heart disease) and the risk of heart attack and stroke in patients with serious kidney disease. Some people use N-acetyl cysteine for chronic bronchitis, chronic obstructive pulmonary disease (COPD), hay fever, a lung condition called fibrosing alveolitis, head and neck cancer, and lung cancer. It is also used for treating some forms of epilepsy; ear infections; complications of kidney dialysis; chronic fatigue syndrome (CFS); an autoimmune disorder called Sjogren’s syndrome; preventing sports injury complications; radiation treatment; increasing immunity to flu and H1N1 (swine) flu; and for detoxifying heavy metals such as mercury, lead, and cadmium. 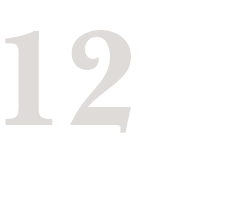 N-acetyl cysteine is also used for preventing alcoholic liver damage; for protecting against environmental pollutants including carbon monoxide, chloroform, urethanes and certain herbicides; for reducing toxicity of ifosfamide and doxorubicin, drugs that are used for cancer treatment; as a hangover remedy; for preventing kidney damage due to certain X-ray dyes; and for human immunodeficiency virus (HIV). Red Yeast Rice is a bright reddish purple fermented rice, which acquires its color from being cultivated with the mold Monascus purpureus. It has been used in food and medicinal preparations for hundreds of years. Red yeast Rice has been found to be very effective in reducing LDL cholesterol and Triglycerides and thus vastly improving the health and function of the heart. The active component within Red Yeast Rice responsible for its effects is known as "monacolin K". Many Red Yeast Rice supplements have no declaration of their Monacolin K content and thus are unreliable in their effects. Ambrosia uses a specific and tested Red Yeast Rice that has been standardized for Monacolin K.
Chromium is an essential mineral, consumed through the diet. It is found in trace amounts in plant products, specifically grains. Chromium Picolinate is one of the most widely used supplements on the market, primarily utilized for its blood sugar regulation benefits. Research has generally shown that Chromax® improves insulin sensitivity by either prolonging its activity or up-regulating the production of mRNA to produce more insulin receptors. Small quantities of chromium are needed for glucose utilization by insulin for normal health. Studies have suggested that chromium picolinate may assist in weight loss and increase muscle mass. Stinging Nettle is a plant typically found in damp woods and grassy areas. This plant root nettle contains multiple health-promoting qualities. Stinging Nettle Root plays a key role in promoting a healthy urinary tract function. In men, it can also play a role in prostate health. Nettle root or Urtica dioica as it is also referred to, is best known for delivering powerful respiratory system support. This lung health support can be particularly beneficial to those who encounter environmental irritants such as second hand smoke, or city/work pollution. The use of Celery seed dates back thousands of years in Eastern medicine. The primary use of this beneficial compound unique to celery is its powerful support for the circulatory system. Ayurvedic traditions utilized celery seed for many benefits, including seasonal wellness support, joint support and digestive health. Pumpkin seed contains a naturally occurring blend of Omega-3 and Omega-6 fatty acids, and is well known for its ability to support healthy bladder and prostate function. Many studies have suggested that increasing consumption of plant foods like pumpkin seeds decreases the risk of obesity, diabetes, heart disease, and overall mortality while promoting healthy complexion and hair, increased energy, and overall lower weight. Policosanol is produced from all natural sugar cane. Our ideal Policosanol source features the ideal ratios of octacosanol, triacontanol and hexacosanol for promoting heart-healthy lipid levels in the bloodstream. This makes policosanol an excellent heart health and cholesterol balancing ingredient. Red Clover has been used traditionally as an internal health herb, with its primary benefits being its potent liver cleansing capabilities. Red clover is used for cancer prevention, indigestion, high cholesterol, whooping cough, cough, asthma, bronchitis, and sexually transmitted diseases (STDs). Some women use red clover for symptoms of menopause such as hot flashes; for breast pain or tenderness (mastalgia); and for premenstrual syndrome (PMS). Hawthorn Berry is an all-natural heart health ingredient. Hawthorn Berries, which resemble tiny sweet cherries, have been used to make wine, jelly and flavored brandy for many years. What most people are not aware of is the Hawthorn Berry's impressive powers for improving heart health as well as other bodily functions. This natural ingredient has been for centuries as an herbal cardiovascular tonic, due to their antioxidant flavonoids with unique benefits for the heart and vascular system.